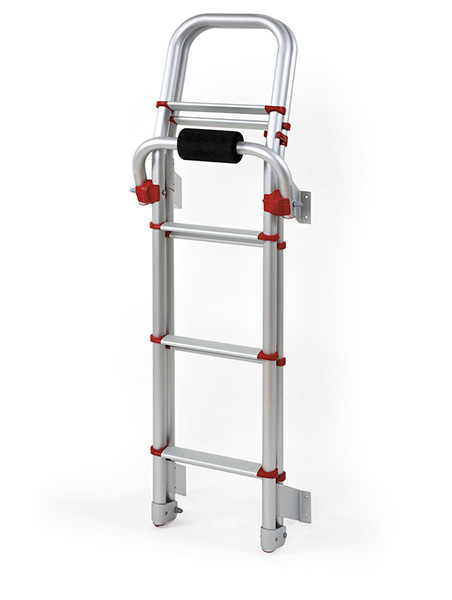 Sturdy and lightweight high quality exterior ladders. Ø 30mm and 2mm thick tubes in anodized aluminium. Inner width: 28cm. 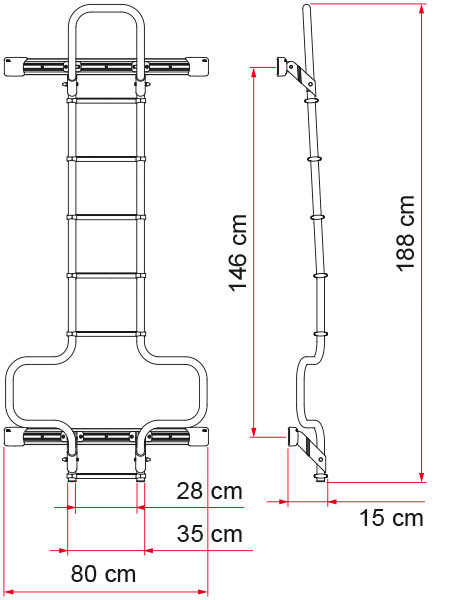 Total step width: 35cm. Updated measures in accordance with the European standard UNI EN 131. Non-skid steps. Deluxe DJ: supplied with Fixing Bars for easy and quick installation on the rear door. It can be combined with Carry-Bike 200 DJ. version for ProMaster H3 now available. 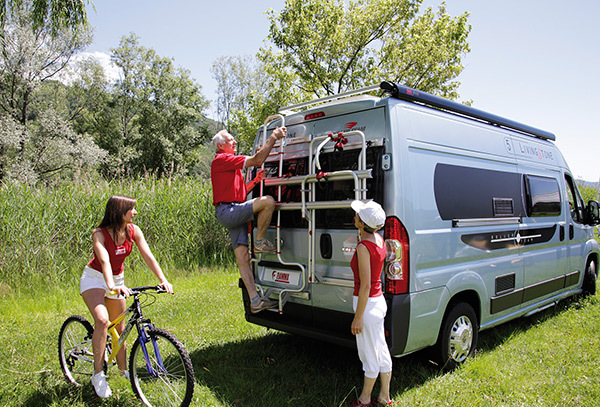 Deluxe Sprinter: can be mounted on the left rear door and this item is compatible with the installation on the right rear door of the bike carrier Carry-Bike 200 DJ Sprinter / Crafter (02093-93-). The structure can be folded up for maximum ease of use. 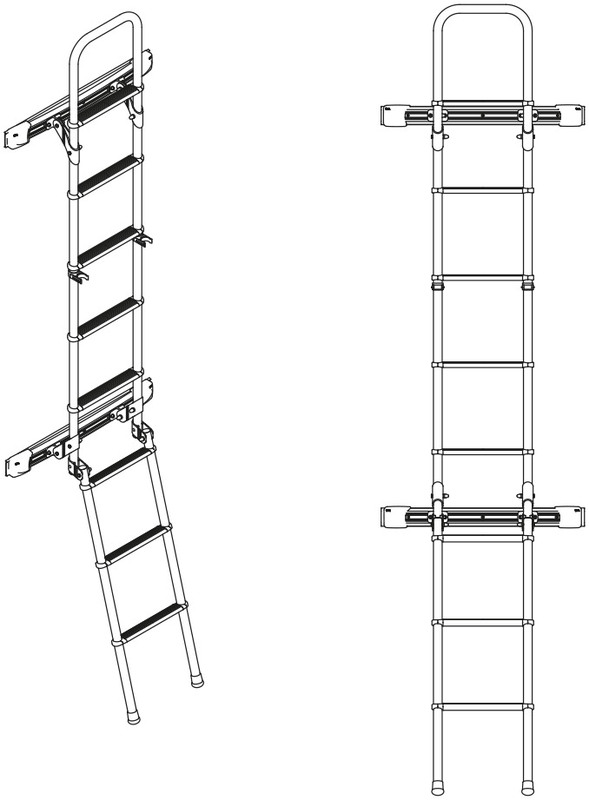 DELUXE 8Sturdy and lightweight high quality universal exterior ladder. Can be folded up while travelling. DELUXE PROMASTERTwo models available: Deluxe DJ Ducato and Dj Ducato H3. Supplied with Fixing Bars for easy and quick installation on the rear door. It can be combined with Carry-Bike 200 DJ. It can be installed on the following vehicles: Fiat Ducato, Citroën Jumper and Peugeot Boxer after 2006 and Ford Transit with double rear doors after 2006 before 2011. 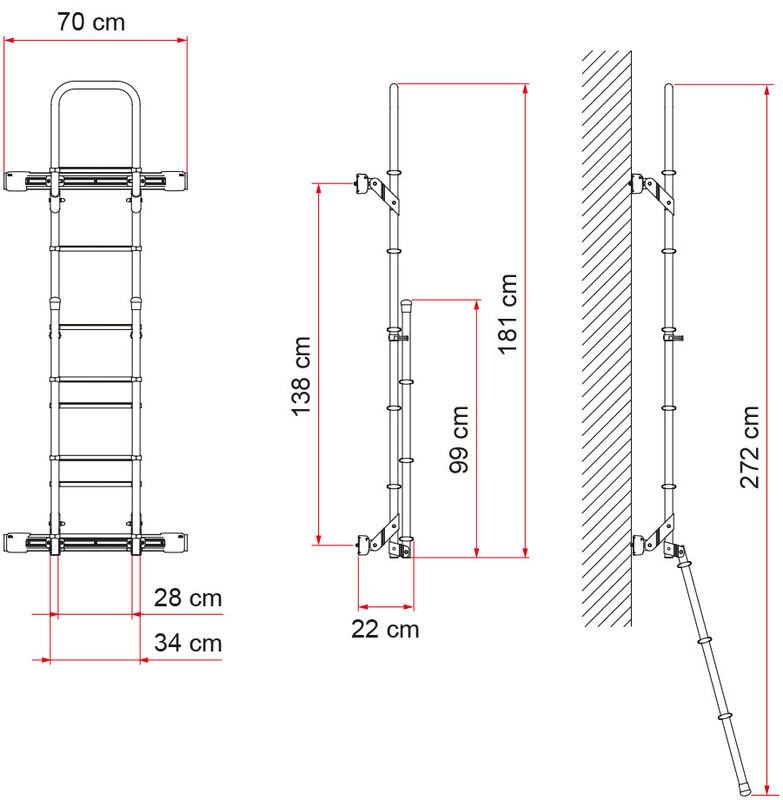 DELUXE SPRINTER Sturdy and lightweight, the Deluxe Sprinter ladder is made with Ø 30mm aluminium tubes that are 2mm thick. Can be mounted on the left rear door and this item is compatible with the installation on the right rear door of the bike carrier Carry-Bike 200 DJ Sprinter / Crafter (02093-93-). The structure can be folded up for maximum ease of use. Suitable for installation on the identical VW Crafter H2.